ONE SHOT is an all dry powder polymer with triple action to cover most drilling problems. This product is specially formulated to respond to clay, sand and unconsolidated geological formations. 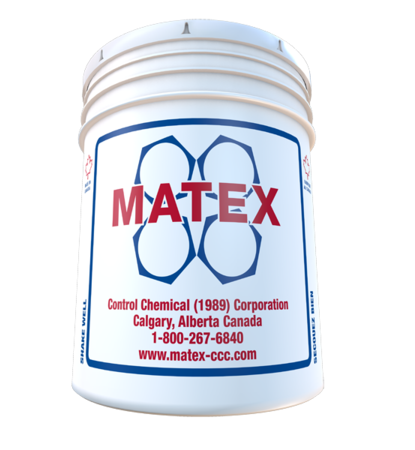 This product increases viscosity and imparts excellent stabilization and fluid loss properties. ONE SHOT increases the meters drilled per shift. ONE SHOT has effectively stopped water sands from collapsing into the bore hole. ONE SHOT eliminates the need to use multiple products, thus reducing disposal problems and immense transportation costs. ONE SHOT works with TORQUELESS and does not require a complicated multi-component mud system. ONE SHOT builds a matrix tying sands and gravels together thus stabilizing the borehole and maximizing productivity. ONE SHOT due to its ionic charges it is absorbed directly into shales and clays, thereby preventing the water damage that causes hole instability. ONE SHOT should always be premixed with TORQUELESS, the recommended ratio is one part ONE SHOT to two parts TORQUELESS. The ONE SHOT premix is then introduced into the mixing system with water.